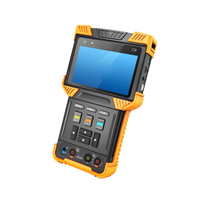 The MON-DS7TEST Vigilant Vision 7" Test Monitor (BNC and Network) IPC test, IPC viewer, Rapid Video, RTSP, ONVIF. 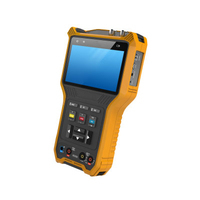 The MON-PFM900-E 4" Test Monitor with BNC and Network Options with Built in, speed 150M, wireless camera display. 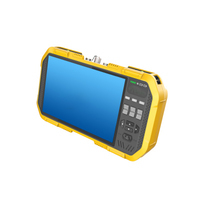 The MON-PFM907 7" Touchscreen Test Monitor for BNC and Network. 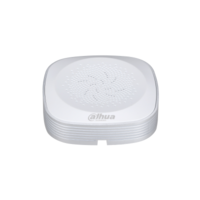 It has Analogue video level meter, peak video signal level. 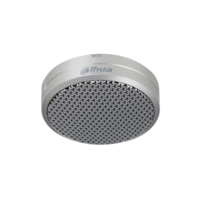 The MIC-HAP100 5-40m2 Microphone for CCTV with 30KV Air contact ESD, built-in Lightning Protection, power supply polarity reversal protection. 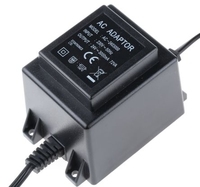 The MIC-PINHOLE-40 5-40m2 Microphone Pinhole Pickup 30KV Air contact ESD, built-in Lightning Protection, power supply polarity reversal protection and electrostatic protection. 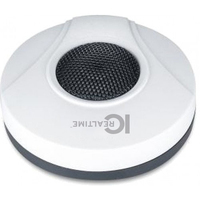 The MIC-HAP200 10-100m2 High-Fidelity Pickup Microphone with Up to 328 Square Foot Coverage Range, Noise Reduction Technology. 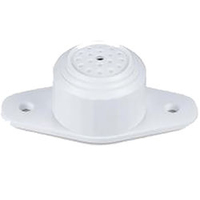 The MIC-ROUND-100 is 5-100m2 Hi-Fidelity Pickup Microphone Omni-directional condenser microphone, high fidelity with built-in Lightning Protection. 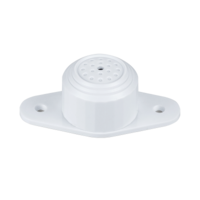 The MIC-HAP300 5-150m2 Hi-fidelity Microphone for CCTV, Easy to install, ALC processing circuit with Support cascading. 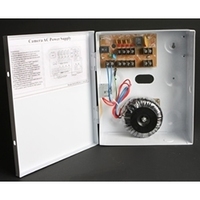 The PWR-12VDC-5A 12v 5AMP In-Line PSU CCTV Camera 12VDC 5A Power Supply Convenient screw and terminal and fuse access. 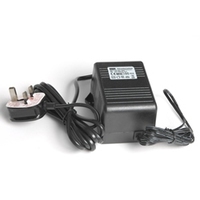 PWR-24VDC-2.5A PSU for CCTV Cameras. Easy installation. 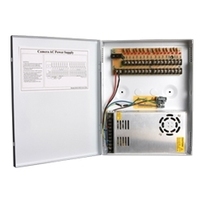 Accurate overcurrent, overvoltage protection. 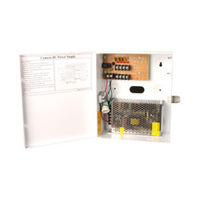 The PTC resettable fuse is a new-type of overcurrent protection element which has two functions providing overcurrent protection and automatic reset. 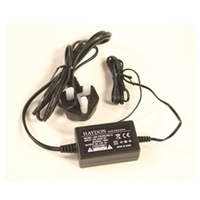 Haydon’s range of multi way metal cased PSUs use the latest technology PTC fuses, eliminating replacing fuses after overvoltage or short circuit occurs.